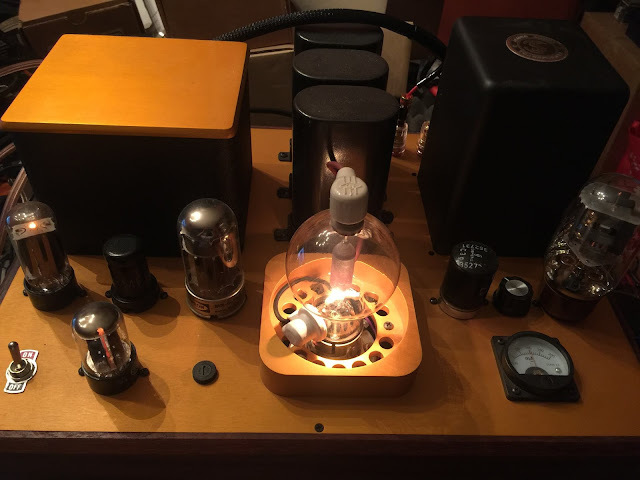 Ho Ngo writes: "One of the most beautiful tube, 808 DHT transmitting tube, and beautiful sounding too! Also known as Tennis Ball tube. Running in Class A2, 350 Volts @ 100 mA, it will put out comfortably 10 Watts SE. Circuit using C3G (triode mode) drive KT66 cathode follower directly coupled to 808. 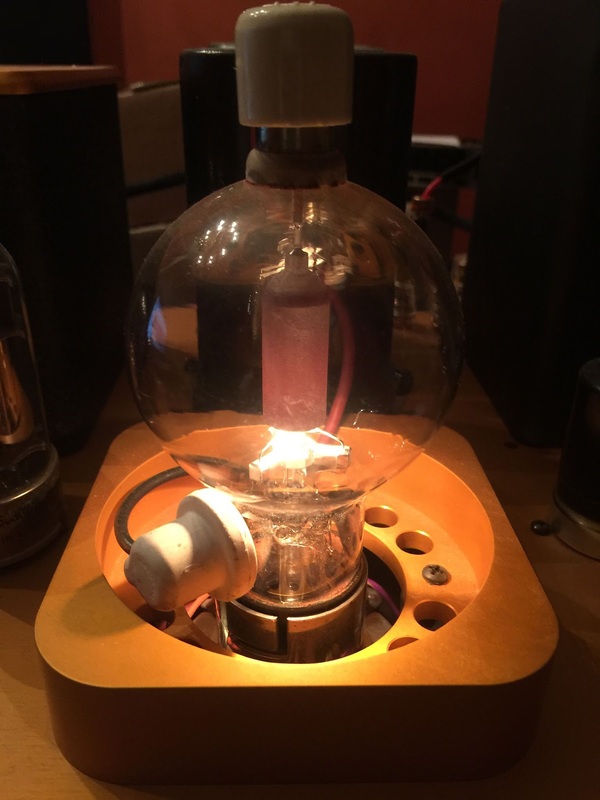 Transformer is limited to 100mA, or I would have push the tube more to get close to 15W. 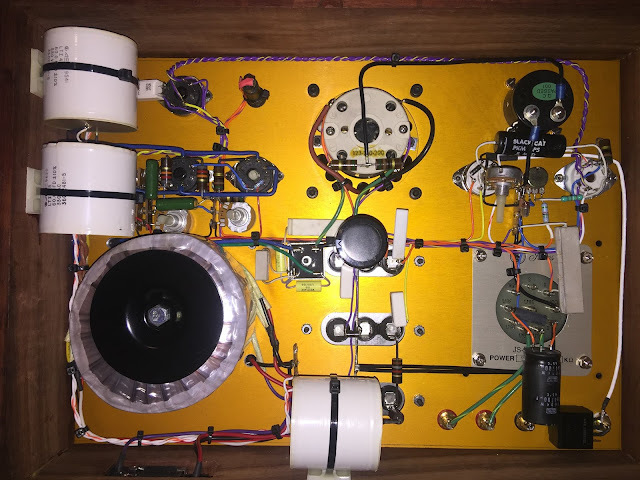 Power supply is more complicated than SE circuit, using two regulators, for output and driver." 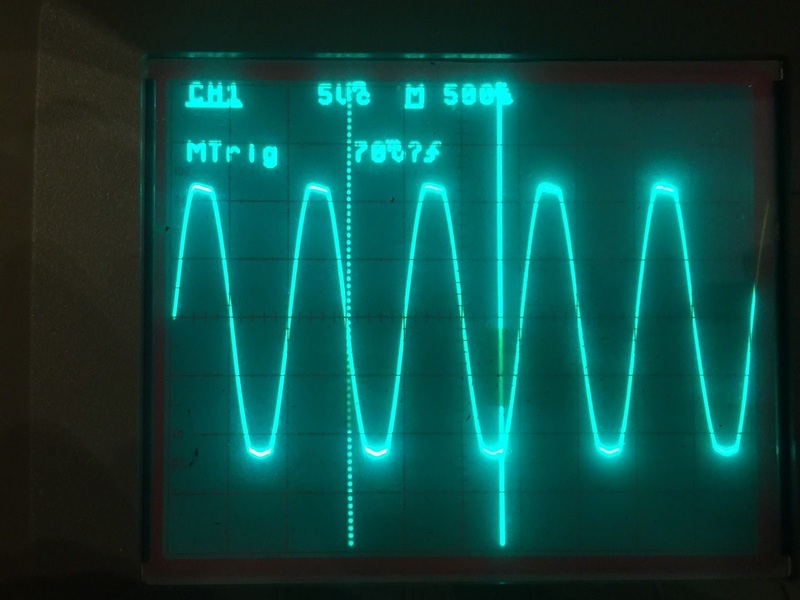 Photo below shows Clipping at 10 Watts/ 1Khz, full Power Flat from 40Hz to 50Khz.